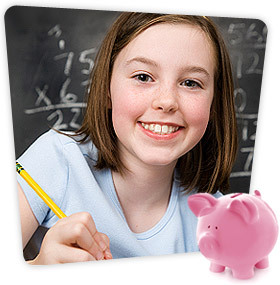 Inkjets for Education offers cash for recycling empty ink cartridges, providing schools a simple and free way to earn money for education. An inkjet recycling program is a good way to raise funds while helping the environment. One of the most effective ways to grow an ink cartridge recycling program is to enroll the help of local businesses through sponsorship. Business sponsorship in our ink cartridge recycling program is a free way for companies to contribute and support to the schools in their community. By donating their empty ink cartridges, business can contribute funds to schools without having to spend any extra money. Most businesses utilize printers on a daily basis and by asking local businesses to contribute empty cartridges, schools can earn up to $1.50 for inkjet cartridges and $5.00 for laser toner cartridges. In addition to helping the environment, business sponsorship for ink cartridge recycling increases involvement in the community and helps raise funds for education. What Kind of Businesses Should Sponsor Inkjets for Education Programs? Considering that most businesses use a printer on a regular basis, nearly any local business can be a helpful sponsor for an ink cartridge recycling program. However, some businesses may be more helpful then others. Consider approaching businesses that may use a significant amount of ink, or larger organizations that may be able to contribute in bulk. Government offices, colleges, car dealerships, real estate agencies, and medical facilities all use printed material on a regular basis and may be able to contribute a larger amount of empty ink cartridges on a regular basis. Copyright © 2011 Inkjets for Education, A Division of Dazz Technologies. All Rights Reserved.